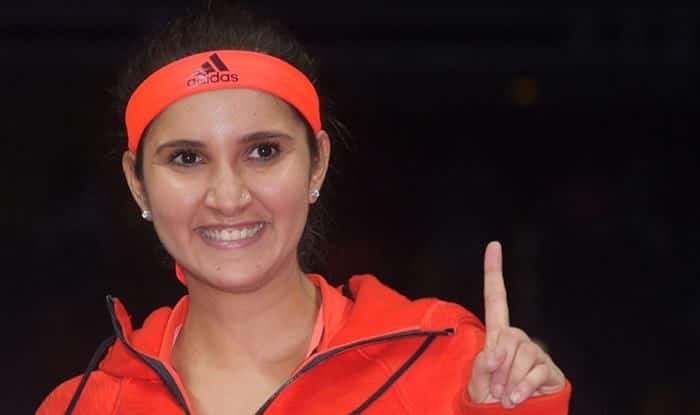 The journey back to the top won't be easy, says Tennis player Sania Mirza, who is targetting a return to competitive tennis by the end of 2019 season. Sania recently had her first child with cricketer-husband Shoaib Malik. The winner of six Grand Slams has started training. The 32-year-old Hyderabadi says she has to juggle many roles and it is a demanding task. The journey back to the top won’t be easy, says Tennis player Sania Mirza, who is targetting a return to competitive tennis by the end of 2019 season. Sania recently had her first child with cricketer-husband Shoaib Malik. The winner of six Grand Slams has started training. The 32-year-old Hyderabadi says she has to juggle many roles and it is a demanding task. “Well, I have been able to play these roles thick and fast. I have been a wife for a while. I have become a mother just now. I am trying to get back to the top level. I know, it is not going to be easy, but nothing is worth than doing it,” Sania told PTI. “My realistic goal is to make a comeback to the sport. Probably by the end of this year, it may happen. Earlier I had talked about my return by 2020. There was a reason for that. I didn’t want to put pressure on myself and still don’t,” she said. Sania said her life has changed completely after giving birth to her son Izhaan. “Life changes a lot when you have an infant in the house. You are not the priority anymore. As sportspersons, we tend to be a little bit selfish all our life. It is all about us. It is all about our fitness, rest and work,” Sania said. “When an infant arrives in the house, it is nothing about you anymore. It is all about the infant. And, that is what motherhood is all about. The life becomes selfless,” she on the sidelines of the inauguration of the 9th season of ‘The Label Bazar’ exhibition here. Sania said her son will have to freedom to choose his calling in life. “I and my husband (Shoaib Malik) are not discussing it at all. He can be a doctor or whatever he wants to be, and that is how my parents have brought me about. They allowed me to choose whatever I wanted to do. Maybe, my son, will not be a sportsperson at all. You never know,” she said.